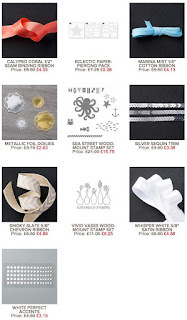 Just wanted to remind you of these products at great prices. Only available whilst stock lasts until 4th August 2015. Also, don't forget about the CLEARANCE SALE, with products up to 60% off! If your order is +£150, do not use the code so you can receive the rewards yourself. Thanks for your support and happy shopping. We had a class on Tuesday afternoon and I just wanted to share one of the projects we made, the Butterfly Gate Fold card. 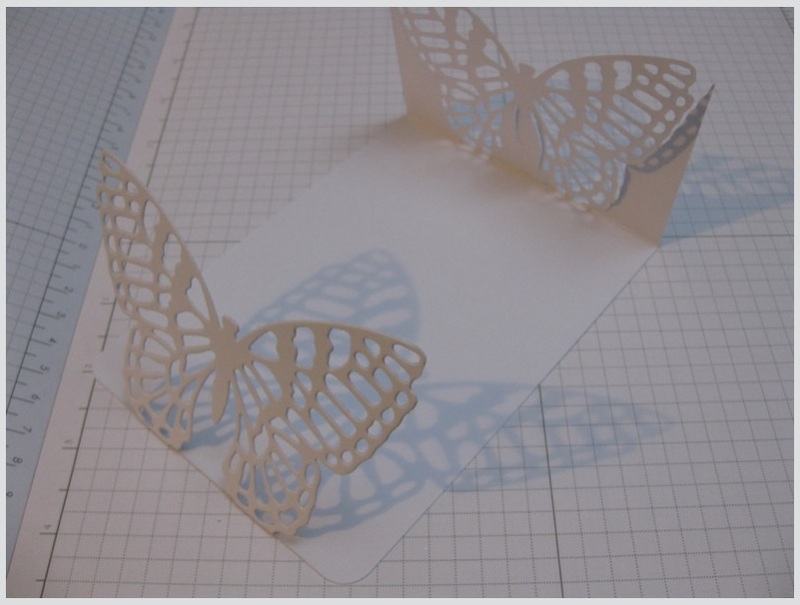 Cut Whisper White A4 Thick Card Stock length ways to get 10.5cm x 29.8cm base. With the base card on landscape, score at 7.5cm and 22.3cm, fold and burnish. Position the Swallowtail thinlit along the fold, 2cm from the bottom. 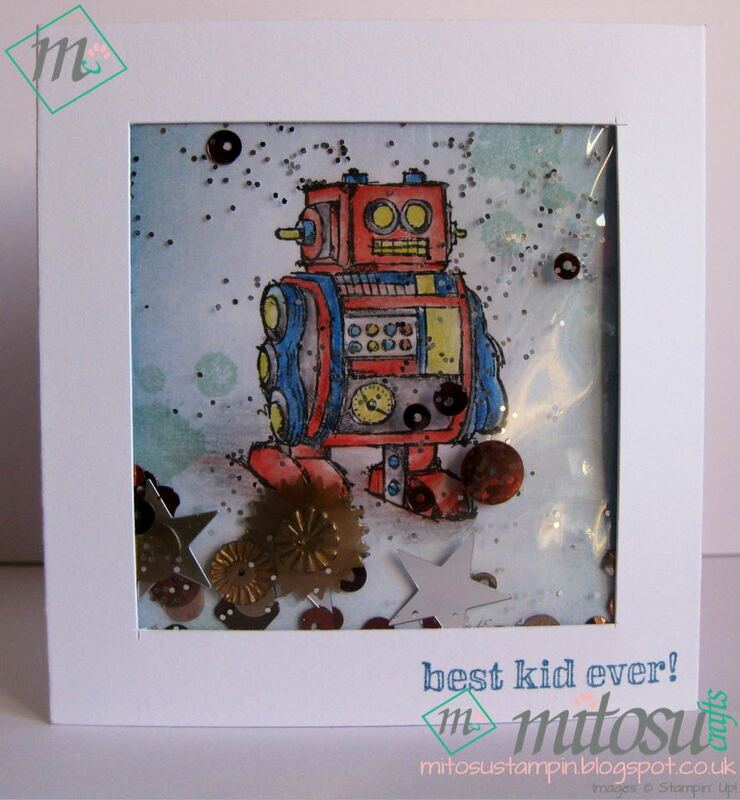 TIP: use the magnetic platform to easily keep the die in place or use washi tape. 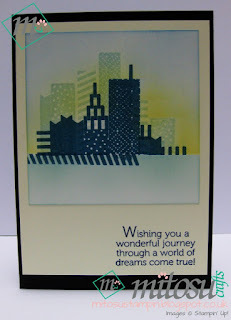 Place the top cutting plate edge along the card fold then run through the Big Shot. Check that all parts are cut properly, if not run through the Big Shot again. 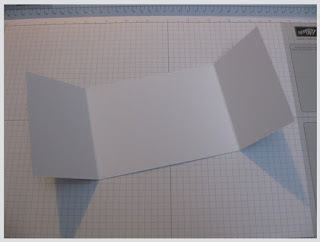 Turn the card base 180° and follow Step 3 & 4. Cut along the fold line to take the top, middle and bottom excess pieces. 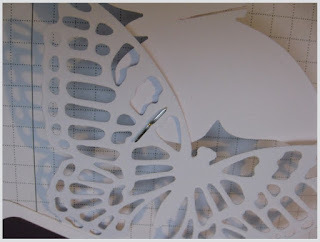 Trim the top wings for a neater finish and use the corner punch, keeping the Swallowtail gates closed. 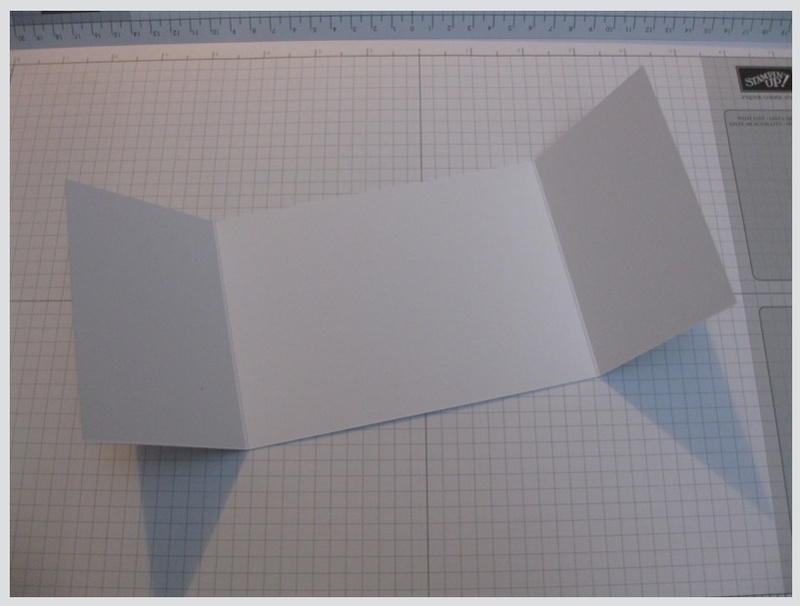 Cut a Blackberry Bliss card to 9.5cm x 13.6cm and punch the corners. Adhere this to the base card. 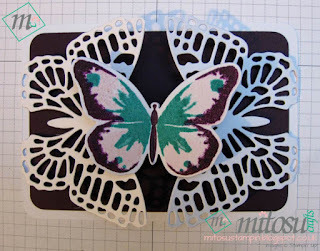 On the left over Whisper White Thick Card, stamp the large Watercolour Wings twice using Blackberry Bliss, Bermuda Bay and Pink Pirouette stampin’ pads. TIP: use the outer stamp first in Blackberry Bliss to easily align the other stamps. 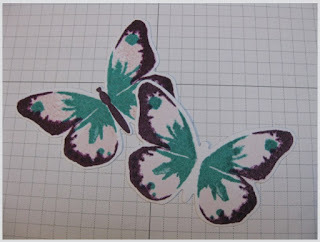 Die cut the stamped butterflies then stamp the body in Blackberry Bliss. Carefully snip halfway down on the body of 1 butterfly and up on the other. Interlock together to ensure they meet properly then take off again. 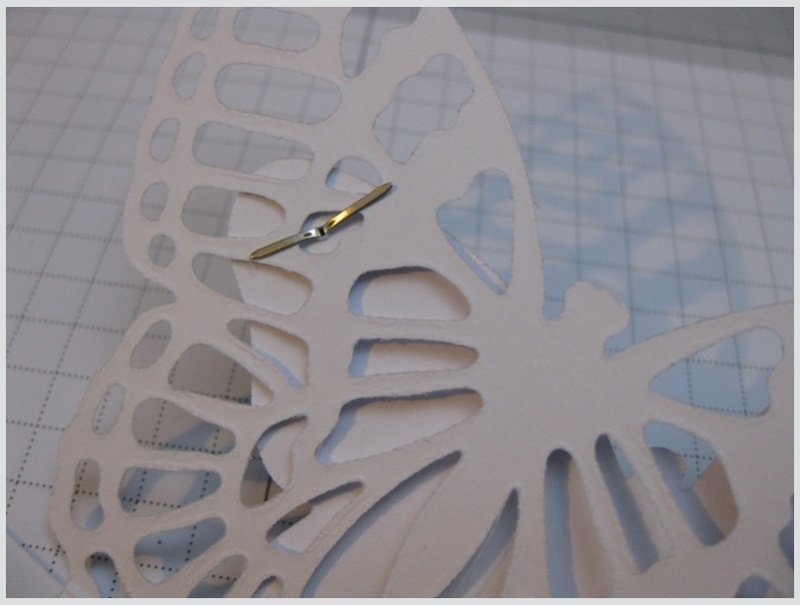 Place 1 butterfly in the middle of the card with the gates closed and use a piercing tool to lightly mark where you can put the brad through on the top right and in the 3rd hole of the Swallowtail to have a little wiggle room. 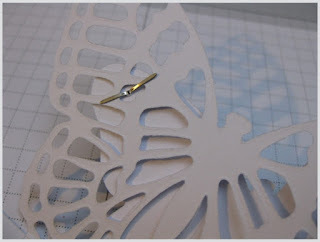 TIP: Hold the butterfly’s body and lift the wings to check where you need to mark/pierce. 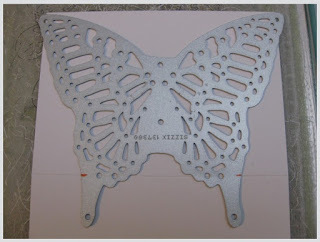 Tuck the butterfly under the gate and use this to align the other butterfly on top. Mark the bottom left for the brad and through the Swallowtail gate. Ensure you are piercing through the actual gate and not just going through a pre-cut hole. 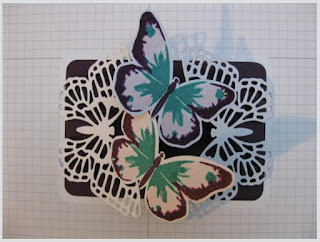 Interlock the butterflies to close the card. 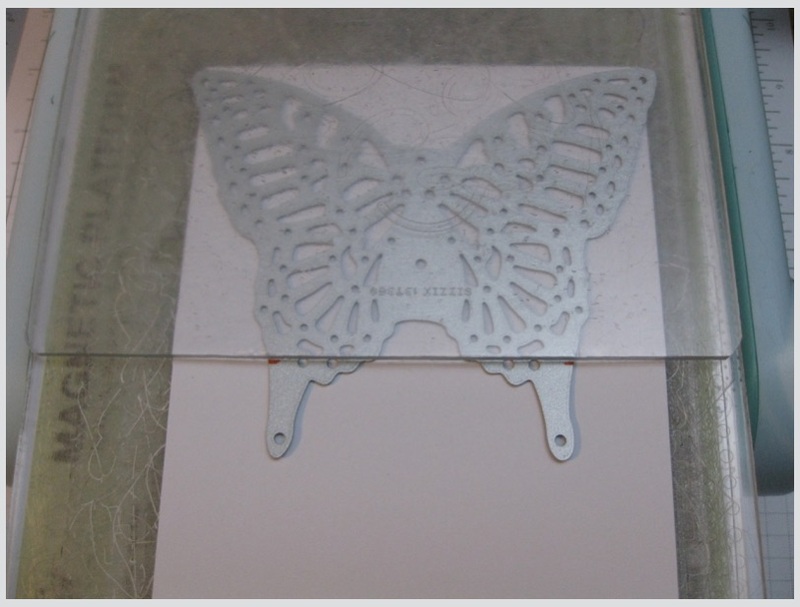 Curl the Swallowtail wings at the bottom slightly to get the card to stand up. 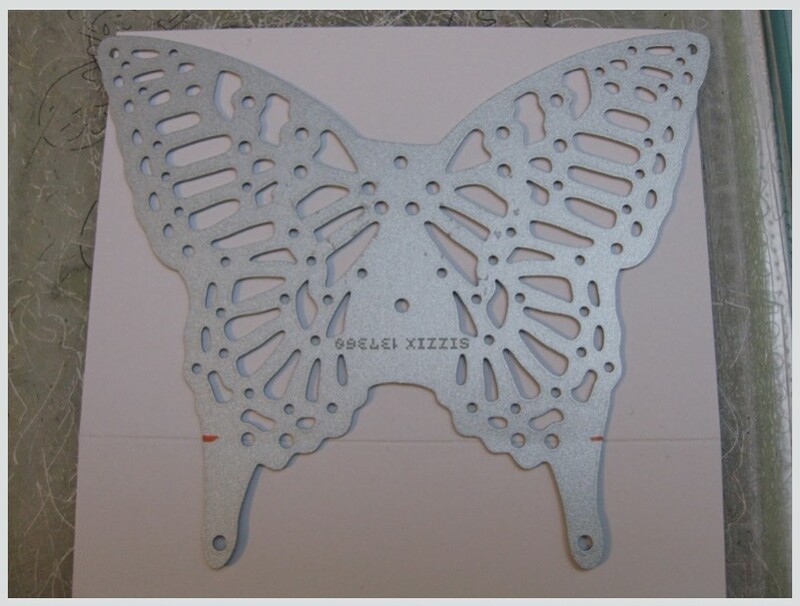 You now have your Butterfly Gate Fold card. You can also download this PDF if you prefer a hardcopy. Just wanted to remind you of these products at great prices. Only available whilst stock lasts until 28/07/15. Thanks for looking and happy shopping. I want to share with you today what I created using the coloured Boys Will Be Boys images (below) which I shared on Facebook last week. This stamp set is on the Weekly Deals until Tuesday night but only whilst stock last. As with the name, it's great for boys but can be used for girls too. 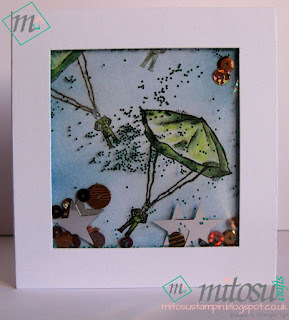 I used the Stampin' Trimmer to cut the middle part and I also used a card plastic bag to put the glitter and confetti in. Just wanted to share a couple of cards that I've created recently which features the embossing folders that are currently on the Weekly Deals. 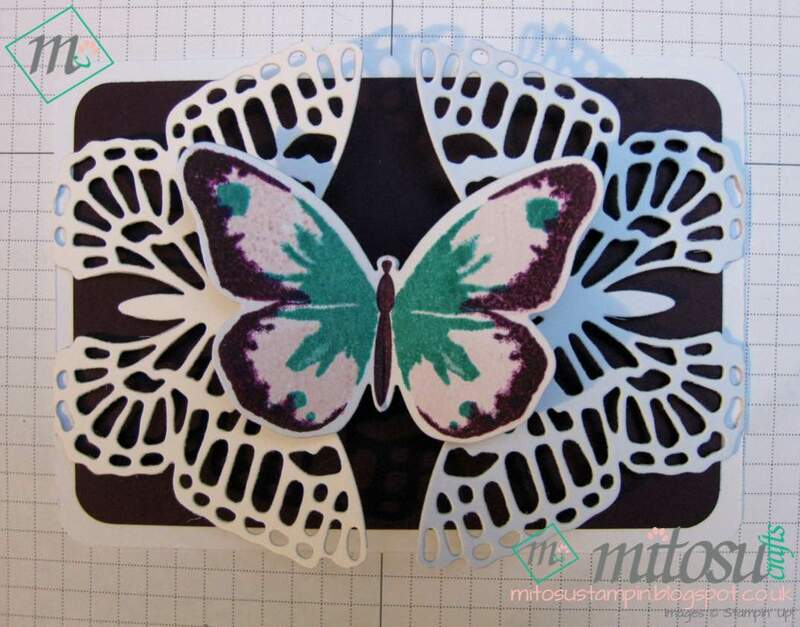 Both cards are A6 size with 14.4cm x 10cm embossed mat. 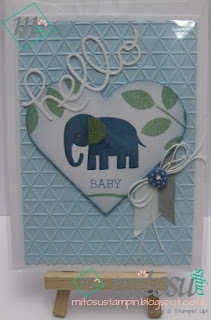 The baby card below has the Tiny Triangles folder with the elephant stamp from the Zoo Babies set. The Congratulations card below has the Zig Zag embossing folder with a stamp from the Bravo set. 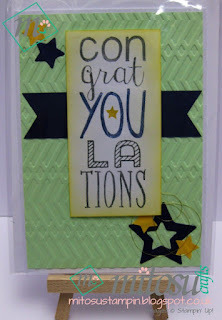 I also used the star framelits dies and Stampin' Up's version is on the Weekly Deals too. The products on the Weekly Deals are only available at sale price whilst stock last until 21/07/15. Other products used are below. Hope you all had a wonderful weekend. It was another busy one for me with work and a Christening on Sunday for my god daughter Edie. Anyways, onto another cityscape which I am sharing with you. I used the same stamps as before, mainly from Build A Birthday and a few from Age Awareness, to create the scenery. I wanted a panoramic window view so I used dimensionals to raise the top and bottom card strips. The brick wall embossing folder would look great with this or for next time I can construct a few window panels. 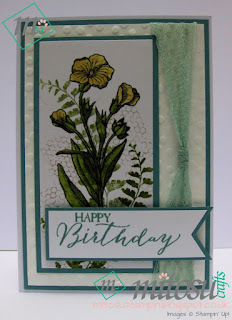 Any suggestions on what sentiments I could use for a card like this? 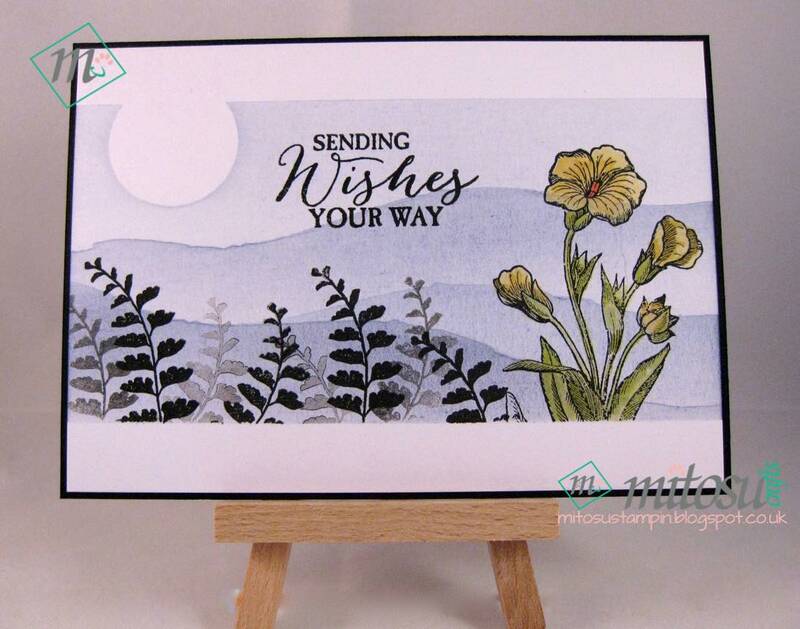 You will be making pre-planned projects to take home using the Watercolour Wings and a range of other Stampin’ Up! products. The class is £10 per person, please book your place in advance so we can prepare enough materials for the day. You can also order the stamp set in advance, to use on the day and take home afterwards. Orders need to be placed by 12th July. If you miss this deadline it may not arrive on time. Refreshments are available and all materials will be provided but please bring a basic craft kit - including your favourite adhesives. 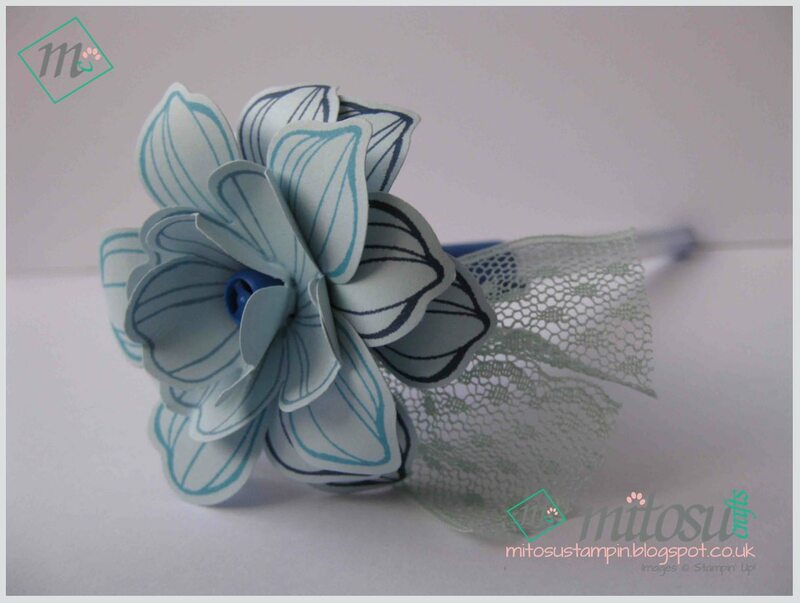 Contact us now and make your own handmade crafts. For a small fee to cover hall hire, you can have your own table and work on your own projects. 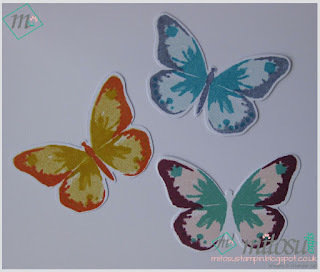 You can also check out ideas board, browse the Stampin' Up! catalogue and meet other crafters. Contact us to book your space. 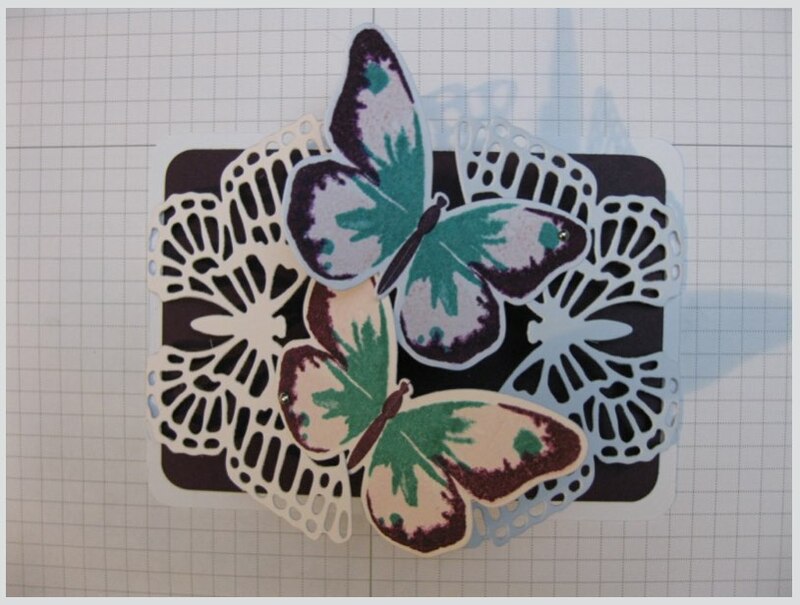 We had our 2nd class today at Basingstoke Sea Cadets and Community Centre so I would like to share the projects we worked on using Build A Birthday and Butterfly Basics stamp sets. 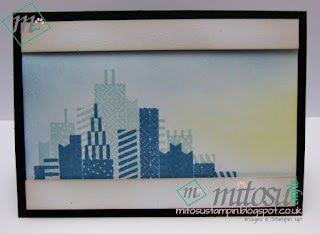 The cityscape is created by using the edge of the stamp pad and only inking parts of the stamps. You can also use the masking technique to achieve the same results. I thought the scenery would look great as a 'polaroid picture' which is why the measurement of the Very Vanilla card is 10cmx13.5cm. Excuse the ink marks as the card fell straight on top of the ink pad during class! It's a quick and simple male card which is CASEd from our last team training with Queen Pip. 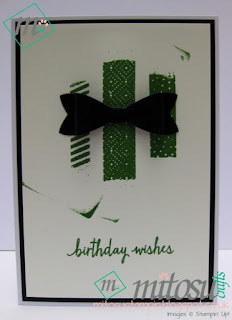 By using torn paper to mask the top and bottom edges, the images looks like Washi Tape or you can use actual washi tape for an even quicker card. 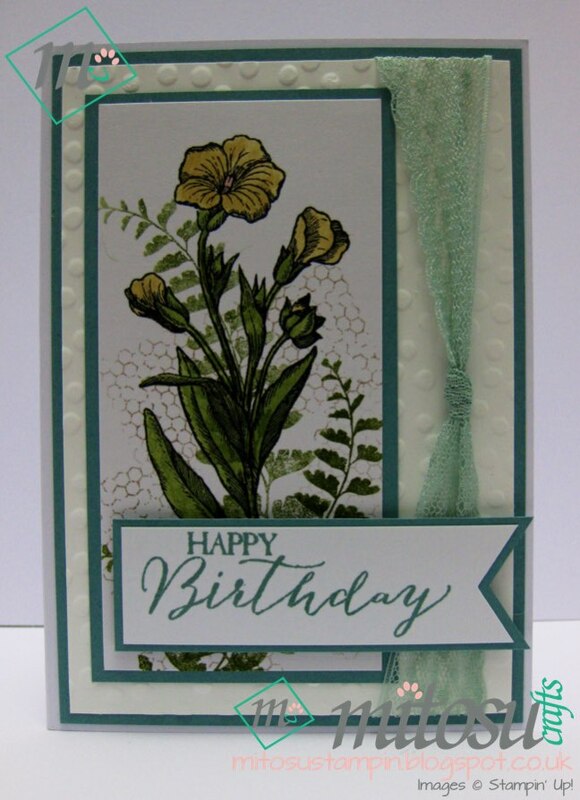 The wire mesh and fern were stamped for the background before the main floral image which was then coloured using Stampin' Markers. The mats on the picture is Lost Lagoon but the ladies used Mint Macaron on the day to match the lovely Dotted Lace Trim. The Triple Banner punch was also used for the sentiment. We prepared a 4th project which was Barry's swap for Telford but we ran out of time so Barry talked through the card and how to build up the scene. Hopefully the ladies enjoyed the class as much as we did. What do you think of our projects? Sorry we haven't posted recently but it has been another busy week of crafting for us. 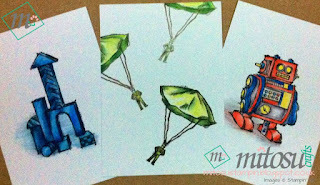 We had a couple of commissioned cards, Wedding seating plans and swaps for our Team Training! We were also busy making cards, gifts and gift packaging as we had a stall at a charity fundraiser event yesterday for the Haemophilia Centre in Basingstoke. 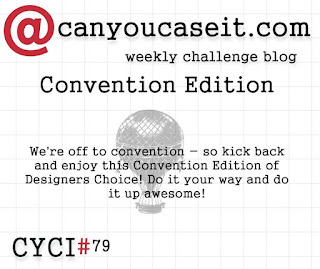 Thanks to another Stampin' Star, Cathryn Perkins, who got us in contact with the organisers. It was an enjoyable day with BBQ, music, raffles, games and a bouncy castle. I also did my version of the Flower Lollipops using the Fun Flower and Pansy punches. 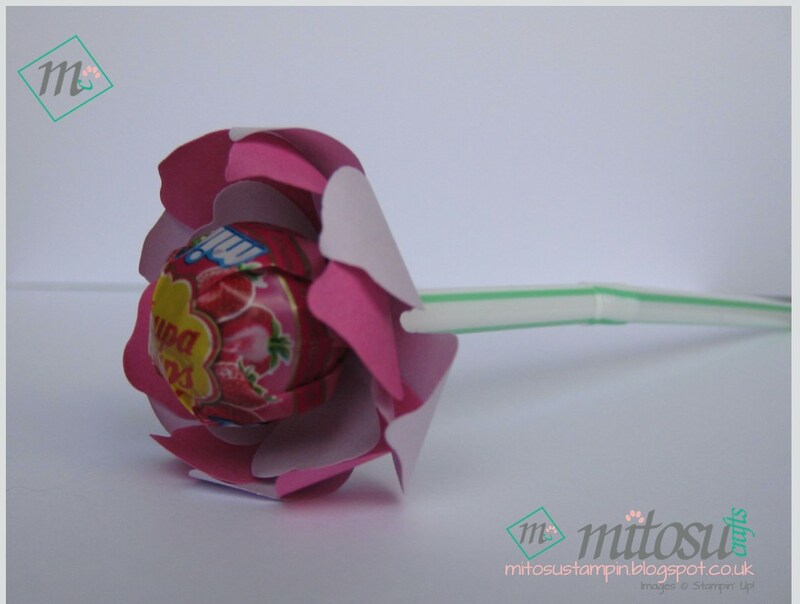 I used straws for a longer 'stem' and they looked great in a small vase. 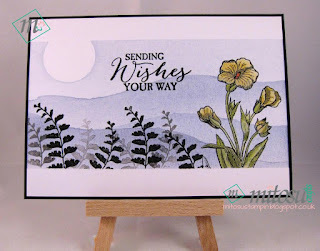 We had a Make & Take station for people to create their own cards from a kit but as it was such a nice day, everyone just wanted to watch us demonstrate. Barry did a demonstration of the Watercolour Wings which everyone loved! It was a great way to engage with people and a different way of giving our contact details. We had a great time and it was nice to be involved. Hopefully the day was successful for the centre.